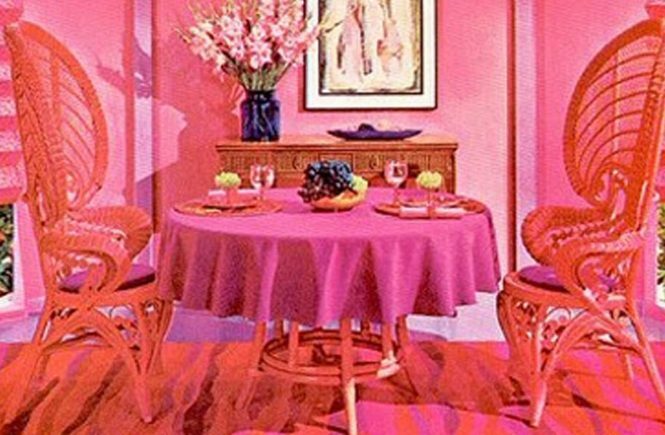 Home decorating in the 1970’s was all about using color. And if you went for it, you went for it. Crazy or Amazing. You be the judge. Brush-On Paint Design in Yellow. 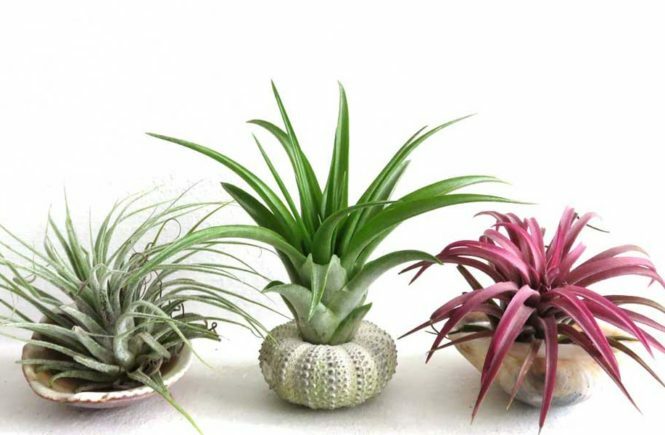 Forget about decorating with wallpaper, pictures and mirrors. 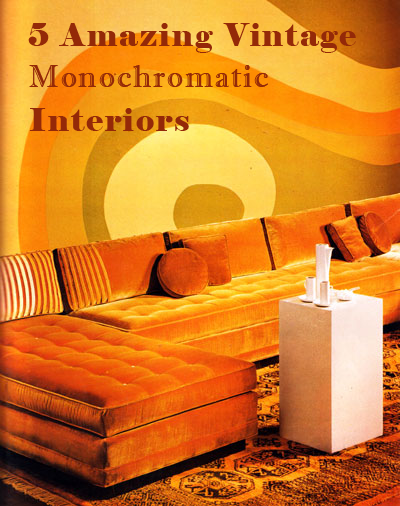 Open your eyes – and your mind – to painted wall designs, as designer Lawrence Peabody did here. Notice how the free-form graphic on the wall flows right onto the conversational seating arrangement. Living in Purple and Red. The couch and wall covering have been done in the same color scheme of purples and reds. 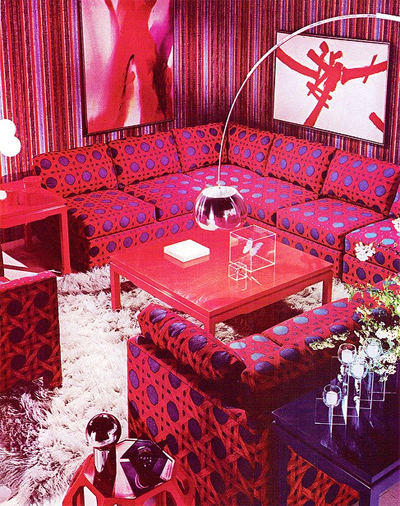 The patterns of circles and stripes make that the sofa does not visually disappears into the background. Suspension space savers in Orange and Pink. Wooden shelves are held together by chains surrounding the vanity table. The shelves are painted orange to match the wall covering and carpet. 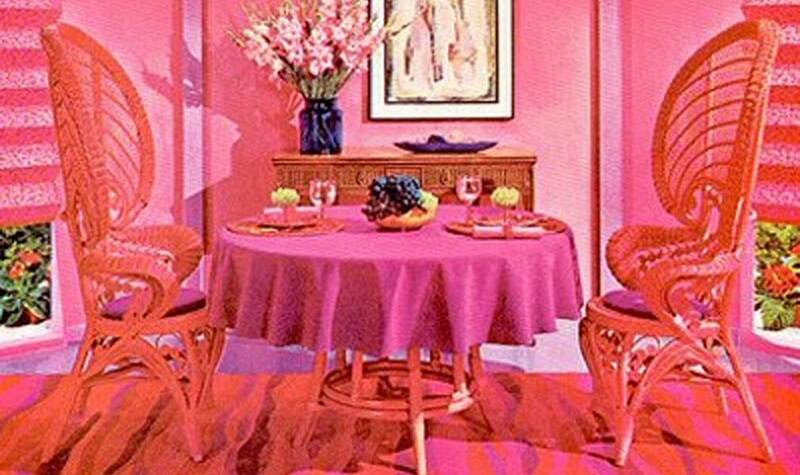 Boho wicker dining room in Pink. Have a seat my dear. Monochromatic pink all the way. 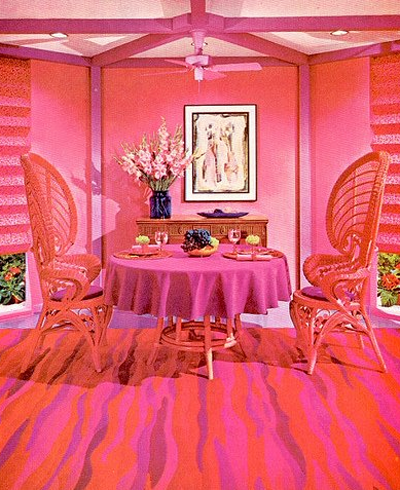 Wicker table and peacock chairs painted in hot pink to match the rest of the interior. Floor to ceiling posts and beams, painted bright green, bring architectural interest to the room. 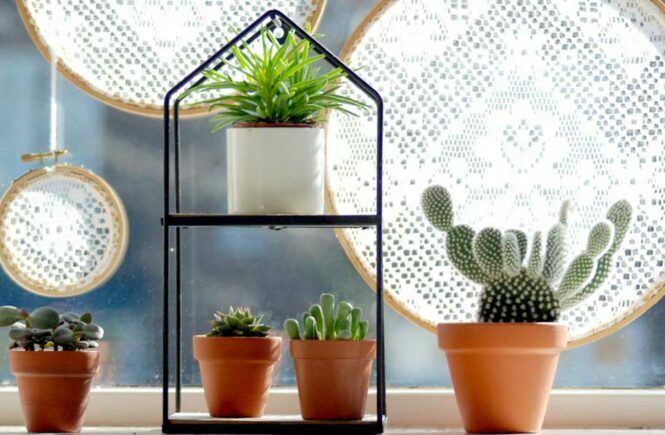 Roll-up window shades and in front of shelving, continue the strong vertical impact. 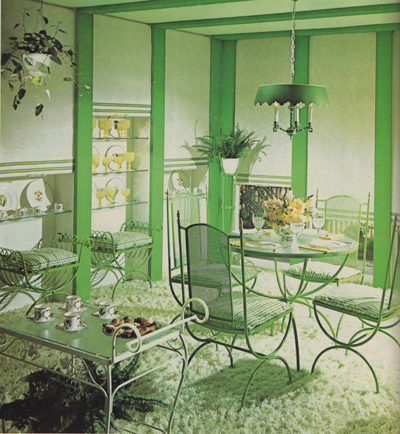 Green metal dining set by Meadowcraft on shaggy rug. 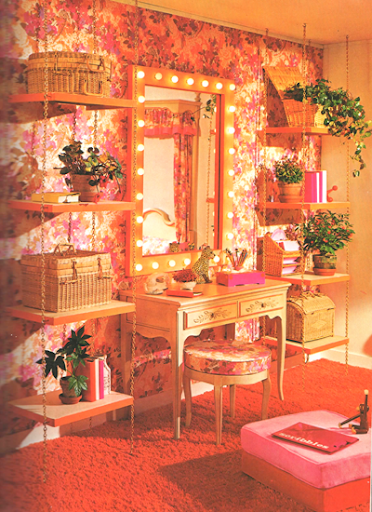 All images found in vintage home decorating books and magazines from the 1970’s from my personal collection. Want your own vintage magazines? I can’t keep them all to myself, so i have some listed for sale in the Mod and Mint shop on Etsy.